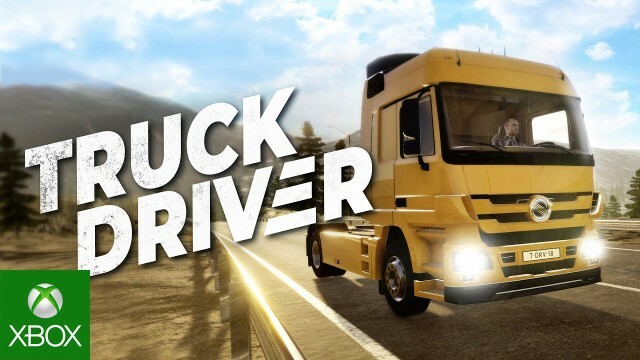 The first gameplay trailer for Truck Driver has been revealed. Want to check out the madness that will soon be coming to Xbox One and PS4? Straight from the SOEDESCO mouth – yep, those behind the recent Real Farm experience – is the very first gameplay trailer for the upcoming Truck Driver, a game that promises to being a full trucking experience to Xbox One, Xbox One X, PS4 and PS4 Pro in early 2019. And in it we get a look at exactly what it’ll be offering. In the trailer below you can get a first glance at the different features that Truck Driver will have to offer when it releases on console. Two important aspects highlighted are the variation of clients and cargo in Truck Driver, and the focus on career progress in the game. See, Truck Driver is all about meeting different people; ones that could really use the services of a trucker to achieve their goals. One of these is your everyday lumberyard owner Sven, who has a hard time letting people into his life. By successfully completing transport jobs for Sven, his trust can be earned, resulting in new jobs with different sorts of cargo. Helping him with his transport needs will visibly make his company grow bigger and bigger. But in addition to earning respect, every completed job also results in more money. And you know what more money makes? The chance to revamp your trucks with a whole host of different parts, customising the look and performance to then be of better use to those clients such as Sven. By taking on extra jobs Truck Drivers can also unlock lots of skills, passives and rewards. These result in useful enhancements such as improved tire durability or the possibility to drive longer without having to rest. In theory then, Truck Driver offers everything any wannabe truck driver needs to take the road to success! Check out the first gameplay trailer for Truck Driver down below.